Now that Benjamin is having his first foods, we are constantly buying bananas. We end up using one or two for his food leaving us with four or five extra bananas a week. 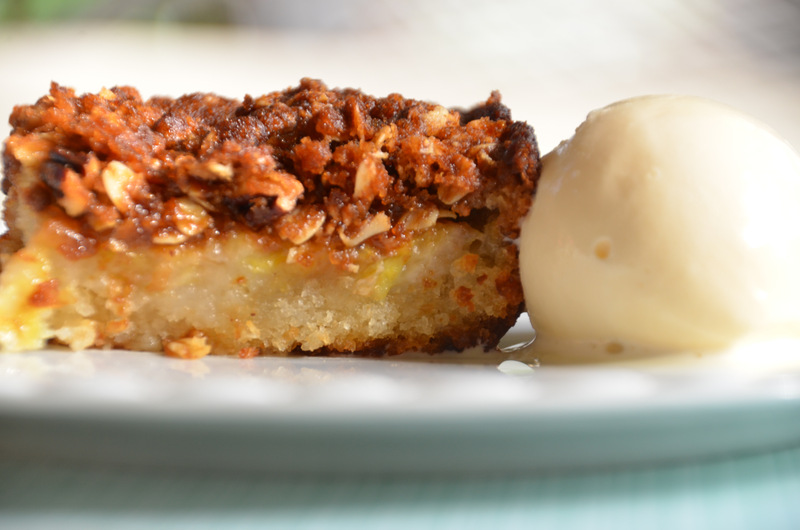 I’ve become a little banana obsessed in the kitchen, trying out different banana recipes. While there have been several misses, The Ultimate Banana Bread, from America’s Test Kitchen, and Banana Bread Cobbler, from Betty Crocker have been two hits in our household. This below recipe for banana bread is unlike any other banana bread that you’ve had. 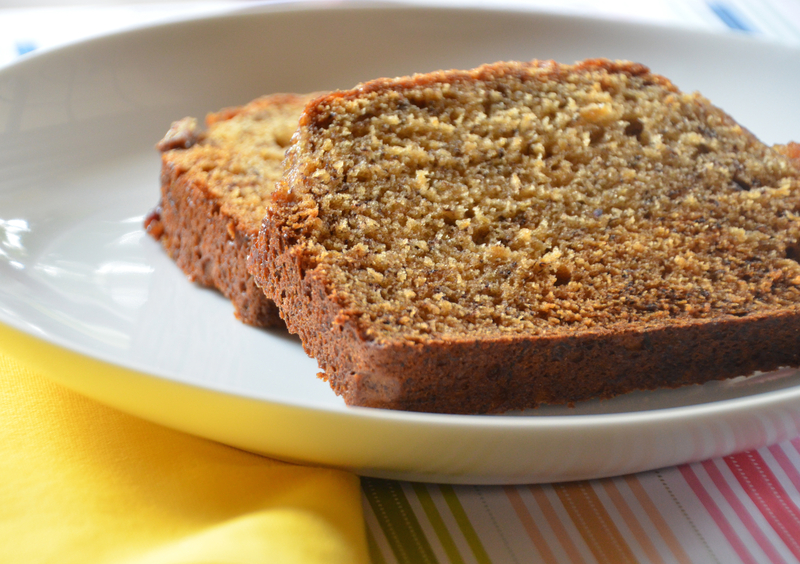 It squeezes 6 bananas into 1 loaf of bread, while most other recipes use only 2 or 3 bananas. It is a heavenly breakfast. Adjust oven rack to middle position and heat oven to 350 degrees. Spray 8½ by 4½-inch loaf pan with nonstick cooking spray. Whisk flour, baking soda, and salt together in large bowl. Place 5 bananas in microwave-safe bowl; cover with plastic wrap and cut several steam vents in plastic with paring knife. Microwave on high power until bananas are soft and have released liquid, about 5 minutes. Transfer bananas to fine-mesh strainer placed over medium bowl and allow to drain, stirring occasionally, 15 minutes (you should have ½ to ¾ cup liquid). Transfer liquid to medium saucepan and cook over medium-high heat until reduced to ¼ cup, about 5 minutes. Remove pan from heat, stir reduced liquid into bananas, and mash with potato masher until fairly smooth. Whisk in butter, eggs, brown sugar, and vanilla. Pour banana mixture into flour mixture and stir until just combined with some streaks of flour remaining. Gently fold in walnuts, if using. Scrape batter into prepared pan. Slice remaining banana diagonally into ¼-inch-thick slices. Shingle banana slices on top of either side of loaf, leaving 1½-inch-wide space down center to ensure even rise. Sprinkle granulated sugar evenly over loaf. Bake until toothpick inserted in center of loaf comes out clean, 55 to 75 minutes. Cool bread in pan on wire rack 15 minutes, then remove loaf from pan and continue to cool on wire rack. Serve warm or at room temperature. 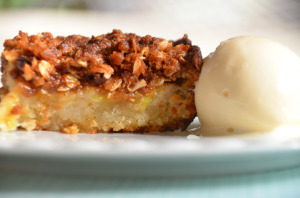 This below recipe for banana bread cobbler is so easy to make. It is perfect for last minute entertaining. In medium bowl, mix 1 cup of the flour, the granulated sugar and milk with whisk just until blended. Stir in melted butter. Pour batter into baking dish. In small bowl, mix brown sugar, remaining 1/2 cup flour and the softened butter with fork until crumbly. Stir in oats and pecans. Arrange banana slices over batter; sprinkle with oat mixture. Bake 50 to 55 minutes or until golden brown and bubbly, covering with foil during last 10 minutes to prevent excessive browning, if necessary. Serve warm with ice cream.